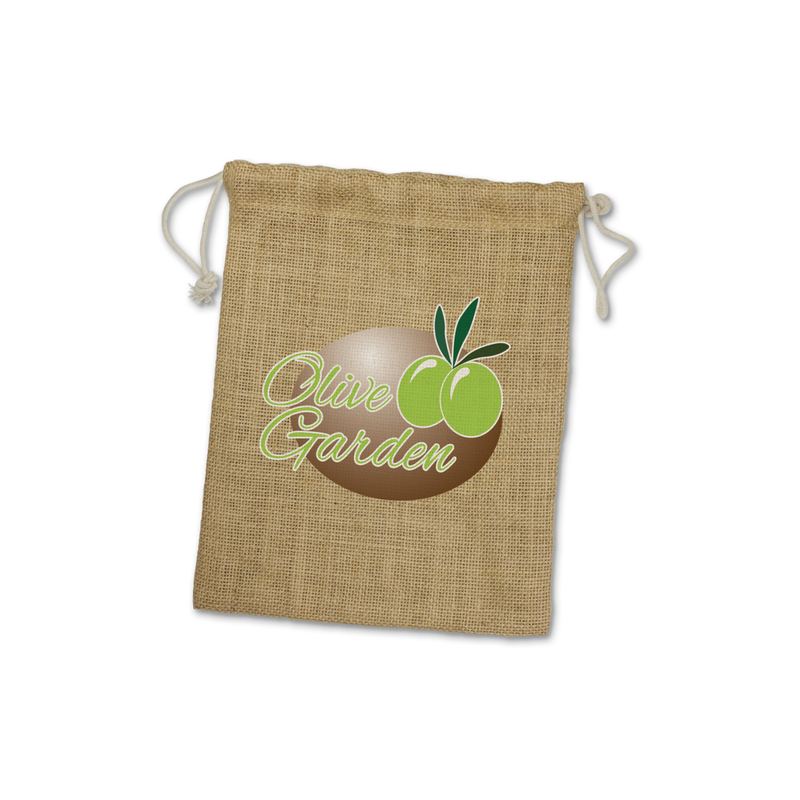 A medium sized eco friendly jute gift bag with cotton drawstrings. 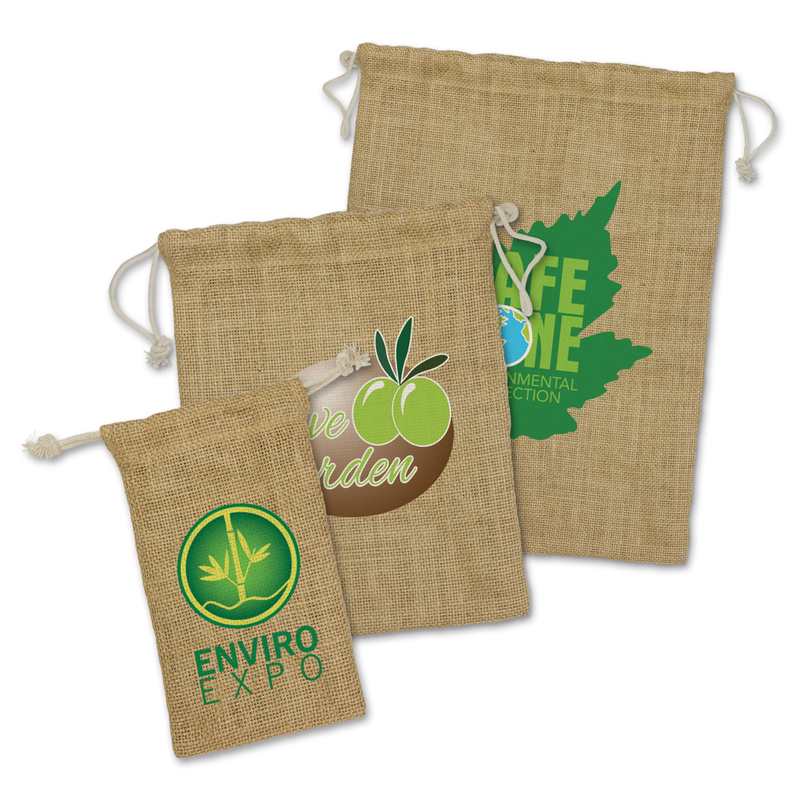 Make your gift something people will remember with these medium size natural jute drawstring bags. They're environmentally friendly and have cotton drawstrings for easy opening and closing.